يقع Addison Hotel في Randwick, سيدني, هو خيار شائع بين المسافرين. يمكن من هنا للضيوف الاستمتاع بسهولة الوصول إلى كل ما تقدمه هذه المدينة النابضة بالحياة. سوف يعشق النزلاء موقع هذا الفندق، فهو قريب من أهم المعالم السياحية في المدينة كمثل رويال راندويك, بارك لاند تينس, Sydney Childrens Hospital . إن الخدمات التي يقدمها Addison Hotel تضمن للنزلاء إقامة مريحة. إن مكتب الاستقبال على مدار الساعة, تسجيل وصول/خروج سريع, تخزين الأمتعة, صف السيارات, خدمة الغرف هي جزء فقط من الخدمات التي تميز Addison Hotel عن باقي الفنادق في المدينة. بالإضافة لهذا,تتضمن كل غرف الضيوف مجموعة واسعة من وسائل الراحة . بعض الغرف توفر حتى غرف لغير المدخنين, مكيف هواء, شرفة/ تراس, تليفون, تلفزيون لإرضاء أكثر الضيوف تطلباً. يقدم الفندق مجموعة رائعة من الخدمات كمثل مسار جولف - ضمن 3 كم, حديقة، لجعل إقامتك تجربة لا تنسى. يشكل Addison Hotel بخدماته الراقية وموقعه الممتاز، قاعدة مثالية للاستمتاع بإقامتك في سيدني. We have stayed here regularly. Rooms are good size and clean though nothing fancy.Staff are always friendly.It is walking distance to Randwick Racecourse, many restaurants and pubs. Also easy to travel by public transport into the city from here. The staff were very friendly. The room was a decent size, nothing fancy but clean. For the money compared to hotels nearby it is very good value. Places to eat all close by and a good bar with a bistro off to the right across the road, a block or two away. There is a fridge , a microwave oven and a kitchen sink in the room. With a balcony also. No internet. Even in public area also no internet service. Bed too soft may b because is too old. Curtains are rather old. Cleanliness ok. I can not understand the bad reviews here. I had a good experience in this hotel. The staff was friendly and helpful. It's a good size room. Ok it is a bit dated but my room was clean, everything worked and nothing to complain. The only bad thing is that there is no wifi in the room. That should be standard in these days. With free wifi I would have rated it 8 or 9. Car park, spacious room, balcony at the front. 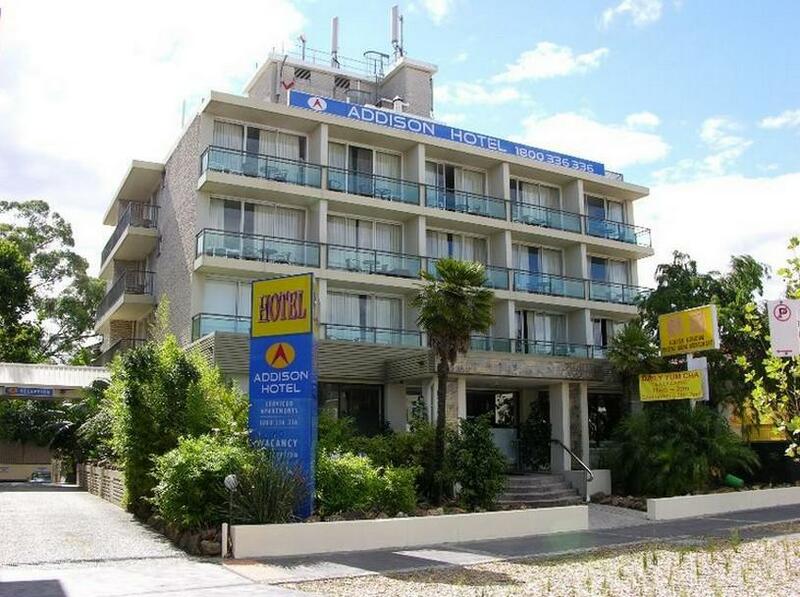 Loved every minute, my car was safe in the car park, easy access to bus stops, spacious room, balcony at the front of the motel, cleaner was lovely, air conditioner worked brilliantly, bathroom was big, minimum noise from other rooms, overall had a great stay. Very good, the staff are all friendly. It is close to many good restaurants. Also close enough to the airport, football stadium (walking), Sydney University(walking) and bus stops to the city on a direct route and parking for no extra fee, so fair value compared to the city allowing for it not being central. A little drab and needs little things to be done regularly in the maintenence department, but good otherwise. Stayed for our second stay. Staff overall very friendly, strangely the Aussie guy was the least friendly. Our room cleaned promptly and respected our privacy when we were suffering from jet lag after the first night. The laundry is good value as well, $5 for use of the washer, dryer & detergent.Nothing fancy, but room a reasonable size and maintained Ok for the money. Position is excellent, close to bus stops, restaurants and there is a good pub (The Doncaster)with meals about a block or so to the right, so walking distance. would stay again. The room and hotel were as expected for the money paid. Try and get a room at the back. One of our party had a room at the front of the hotel and the traffic disturbed them. bring ear plugs maybe? No disabled access. This small hotel has a good location. And this is the only good comment about this hotel. The room is small, old, dusty and smelly. Bed sheets are not changed daily. Small toilet. Noisy. I watched the cleaner cleaned the room in just 1 minute. Actually the room was not cleaned somebody just walked in, changed the towel and clean the rubbish. NO MORE NEXT TIME. The room rate was quite expensive. I was staying at the Addison because my daughter is in college nearby. So I looked for something that would give good value for a "hit and run" 3 night stay. Some of the reviews were pretty mixed so I wasn't sure what I was going to end up with. The rooms are large and airy with lots of light. They are basically right out of the 70's Motel style, spartyan but functional. The bed was on the hard side but I slept well. No WIFI of course, TV has a few channels but seems to be catering to a Chinese clientele with what seemed like 6 channels in Mandarin. There is a very good Chinese restaurant as part of the hotel - but make sure you note the hotel entrance is on the side, not through the restaurant. I live in Hong Kong so I know good Chinese food and this was frankly above average for an Australian Chinese restaurant. The fried chicken and Har Gau were as good as many in Hong Kong. Location is good. Just 5 mins from UNSW and there is a very good coffee/cafe nearby. An ATM just down the road and a Convenience store in the area. The bus to the city is alos just 50m away. Okay the bathroom was looking past ist best but for 100 a night I was quite satisfied. We were able to find the Addison Hotel easily from the Southern Cross Freeway. An easy for us to access Anzac Parade and the short trip to the Hordern Pavilion. The Hotel room was well appointed with all the features that we needed. The restaurant was fabulous. old and need to refurbished. small room and small bathroom. they didn't clean/change the linen everyday even there's a stain on it. but they are on good location and easy for transportations. for someone who have child/family that study at unsw university, it can be reached by walking about 5-10 menit and for someone who have child/family that stay at unilodge, they are just beside it. Staff not very friendly although polite. Pillows were too soft No wifi. Small kitchenette in room with microwave and fridge was quite welcomed. It would be more pleasant if the bed cover was of a more cheerful color. Overall impression -- the room decor seemed 'tired'. Dirty room, air-con is dusty, with dirty carpet. There was a cockroach in the room, the towels has holes in them and also some previous guest's hair. Not very clean, the elevator was very old and made weird noises when it moves up and down the floors, when we told the reception he just smirks..
good service, where they do reserve the room for me even i reached there late. but no direct line to call to from oversea may cause problem if need to contact them. if agoda can have a choice of breakfast will be better. Nice hotel, well serviced, friendly staff, parking at rear of hotel, just walk outside to find shops, bus stop, restaurants coffe shops. 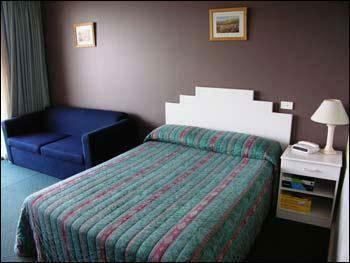 Considering my room in front of Anzac Parade with lots of traffic I had 3 good nights sleep. Value for price as well which would bring me back again. the hotal is right in the middle of the Eastern Suburbs with not many other hotels top be located here , which is also close to NSW Uni , Randwick Racecourse , Coogee Beach , and the City . good public transport at the door , with buses and Airport rail-link very convenient.Staff very helpful , and breakfast good value. Everything good except the dryer in laundry room malfunction, i think.